As if you needed another reason to move to Portland, here’s the amazing (want, want, want!) new show poster by A.J. 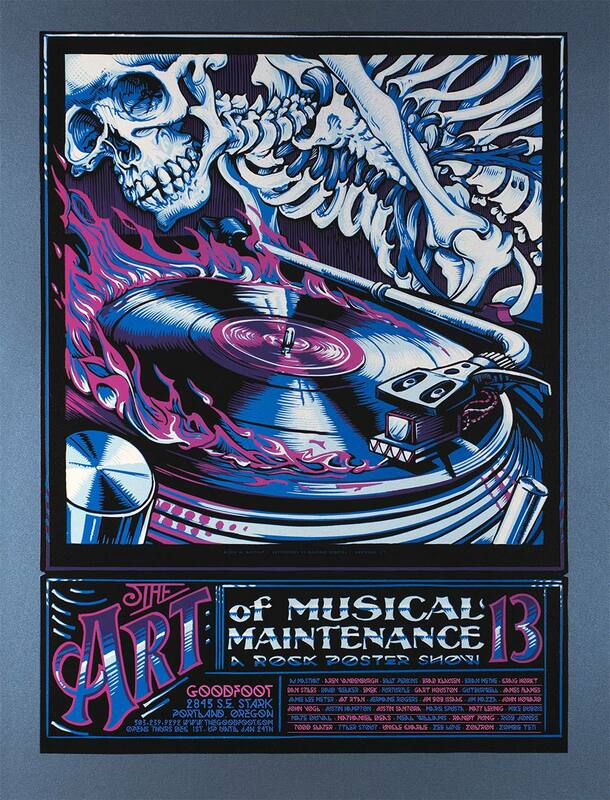 Masthay for the upcoming Art of Musical Maintenance show at Goodfoot. December 1, 2016, through January 24, 2017. Where do I get a copy of this poster?